The preparing of the tours are coached by local mountain guides (Fred Buttard and Victor Charon) and Björn Michaelsen (Ski and Avalanche Instructor, Alta, Norway). On Saturday and Sunday the groups are skiing on their own. The coaches are joining one group each day. This workshop is not a classic avalanche safety course, it’s a terrain course, and the time we will spend sitting in the classroom will be only to talk about practical issues that have been either observed on the terrain or obtained by varied sources of informations. The more “theoretical” subjects will be discussed with practical examples while touring and skiing. Since the course is international, the main language will be English. 1915 Registration. Workshop-Presentation, get to know each other. 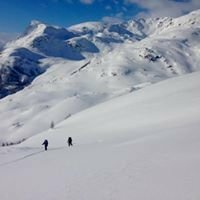 - The discovery of a new area, enlightening discussions and inputs, a better understanding of snow&mountains, the first step to become a safer skier. By full payment no later than the 10 th of January you confirm your participation. Please include your cell phone number. •Torino is the closest airport. Geneva works as well. On request we can provide a transportation.